I told you I’d be back here. 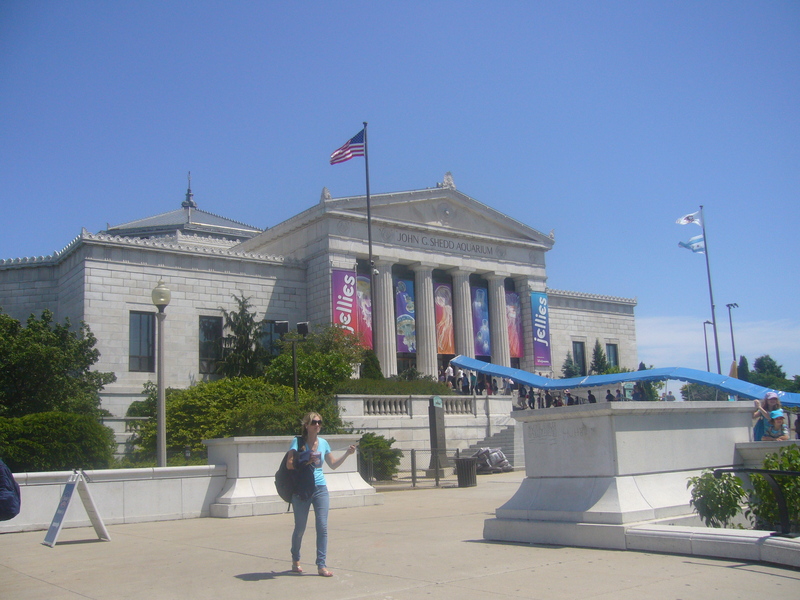 Having picked up the CityPass at the Sears/Willis Tower I found that I’d got myself discounted entry to the Art Institute and decided that I’d make the most of the next day by hitting up at least two of the attractions available to me. I grabbed a free breakfast from the hostel, making the most of everything that was on offer packed a lunch and headed back to the Loop to get some culture. Upon arrival at the AIoC I went to check my bag and the porter asked if I had any food or drink with me, to which I replied yes, I did. He then took the time to inform me that it was not possible to have any food on the premises, which made me question the point of checking my bag. I’m not sure it would have been searched on the way in as there wasn’t the usual level of security that I had become accustomed to at attractions. Anyway, I ate my sandwich, decided I’d been gone long enough to imply that I’d eaten everything and went back in. Back checked, CityPass exchanged for a ticket. I was in! 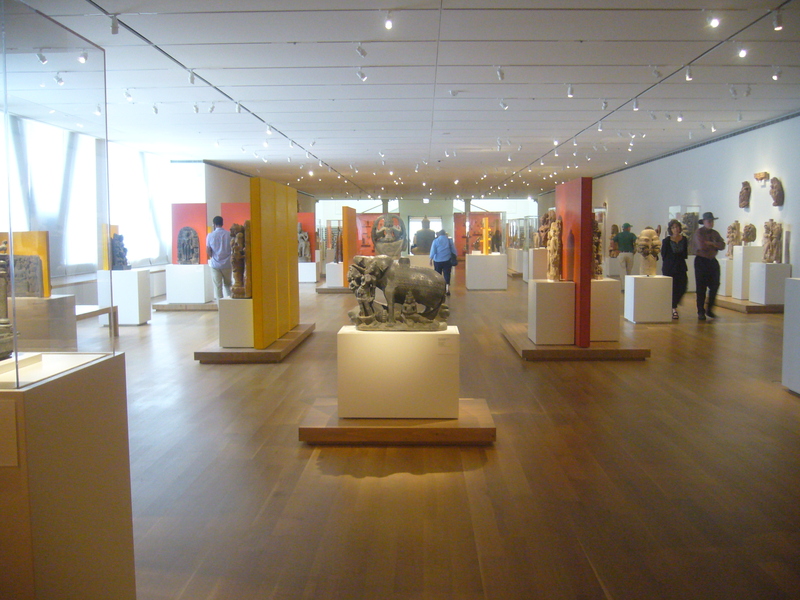 My first and most predominant stop was obviously going to be the Lichtenstein exhibit and I made my way through a selection of Indian and Islamic sculptures to get there, already thinking that I probably hadn’t given myself enough time in Chicago to do as much as I possibly could. Anyway, can’t regret what you can’t change. The exhibit was phenomenal. It began with Lichtenstein’s breakthrough and the New York Times reporter who claimed that he was one of the worst artists in America and to be fair, his work started out pretty badly. 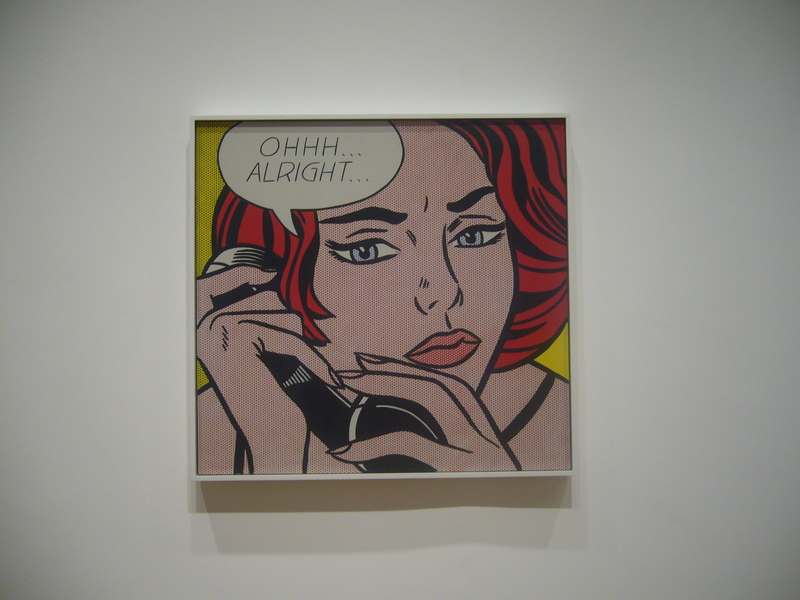 Lichtenstein wasn’t one to be put off though and he progressed, developing his own unique pop-art style and his use of halftone. 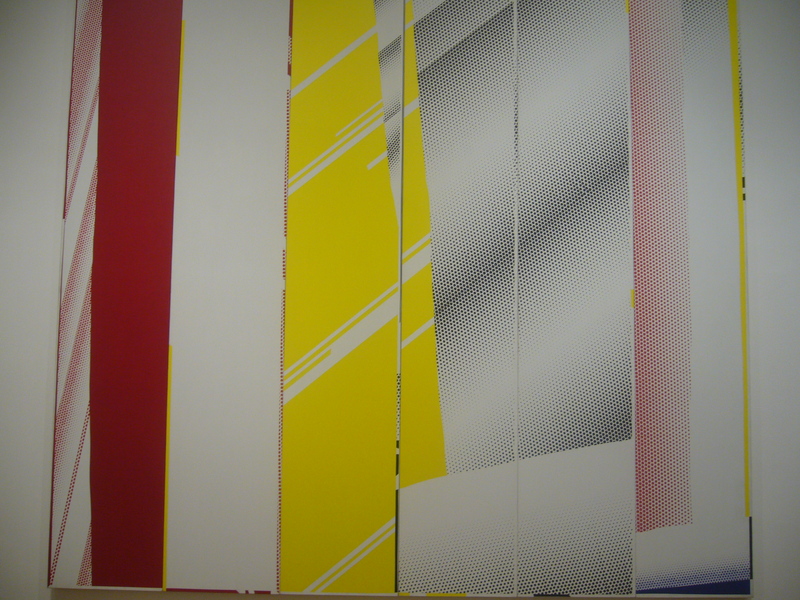 Some of his most recognizable work is from the early sixties when Lichtenstein was using comic books and magazines as reference points for his enlarged and simplified pieces. 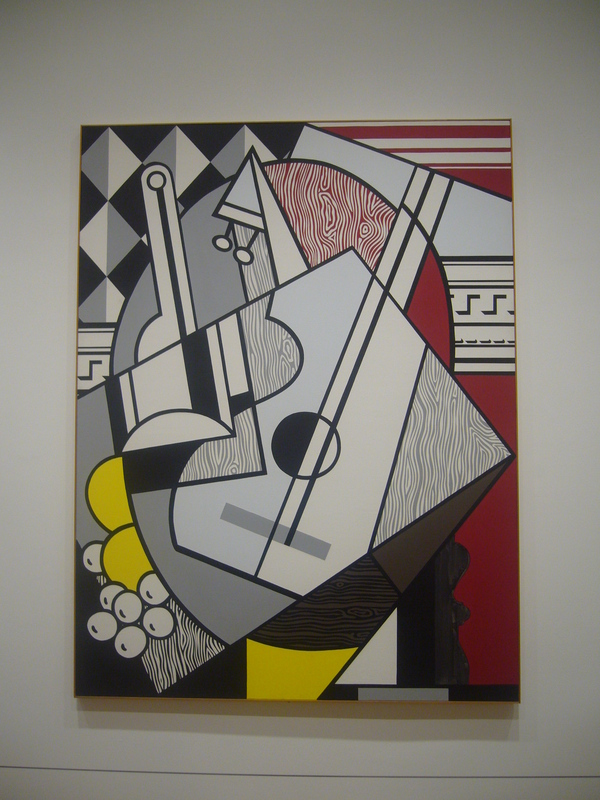 Lichtenstein was also renowned for his reproductions of famous works by artists such as Cezanne and Picasso, creating a parody of the history of art. He continued to use his own style and spent some time focusing on the subject of Mirrors, attempting to capture the essence of a reflection but also what a mirror really is. Some of the most interesting pieces for me were original sketches that would later form his iconic images and a selection of landscapes that mimicked an oriental style of painting. 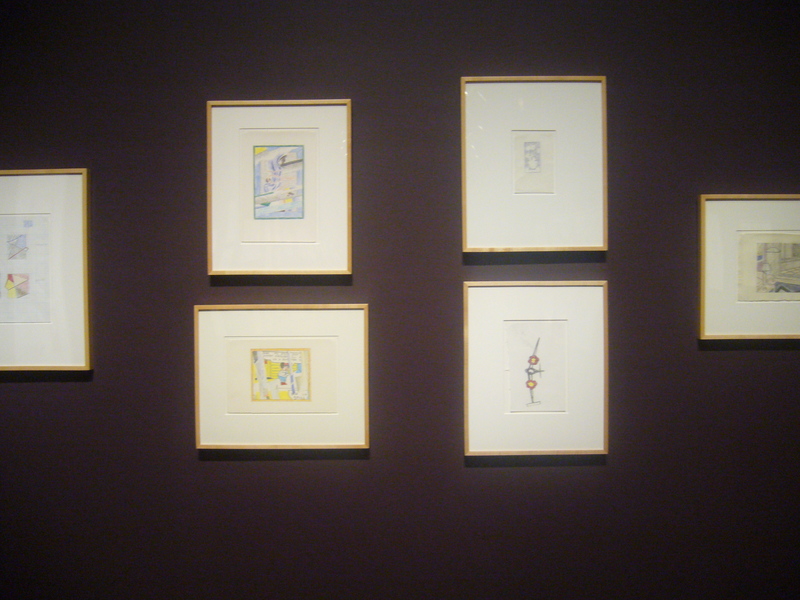 After this I found my end of the exhibit and decided to check out some of art works on display. On my way through the AIoC I came across The Nighthawks and American Gothic, two of the most iconic images from the modern-American era of art. I took the time to have a browse through the modern-European sections, browsing through Picasso and enjoying the surreal “dreamscapes” of Salvador Dali. After this I decided to make my way towards the front of the museum, taking more time through the Indian and Islamic sculptures and taking a brief detour through a collection of sketches and drawings from the Italian Renaissance. Once finished I walked down the lake shore towards the Studd Aquarium. 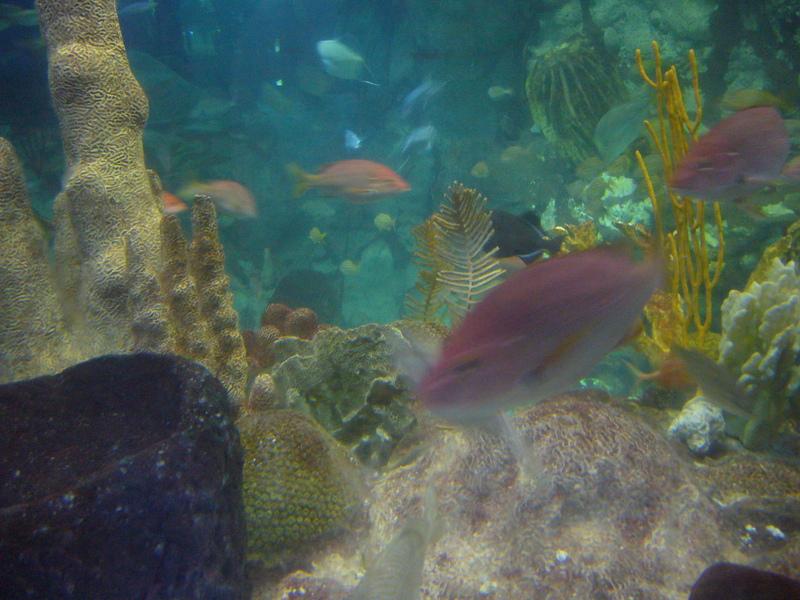 I had been told by two different people that I should definitely go to an aquarium, but there were slightly unusual additives to their suggestions. Unfortunately, on this occasion I was unable to comply with their suggestions and hoped to enjoy a standard visit to an American aquarium. I wasn’t sure how I’d feel, knowing that in the U.S. it’s a lot more common to keep the larger sea mammals in captivity. Once I got through the crowds I found more crowds and realised that most of my time here was going to spent dodging parents and trying not to kill knee-high children as I walked around. There were tanks based on the Amazon, various reef and river types but for me, the real highlight was the beluga whales. 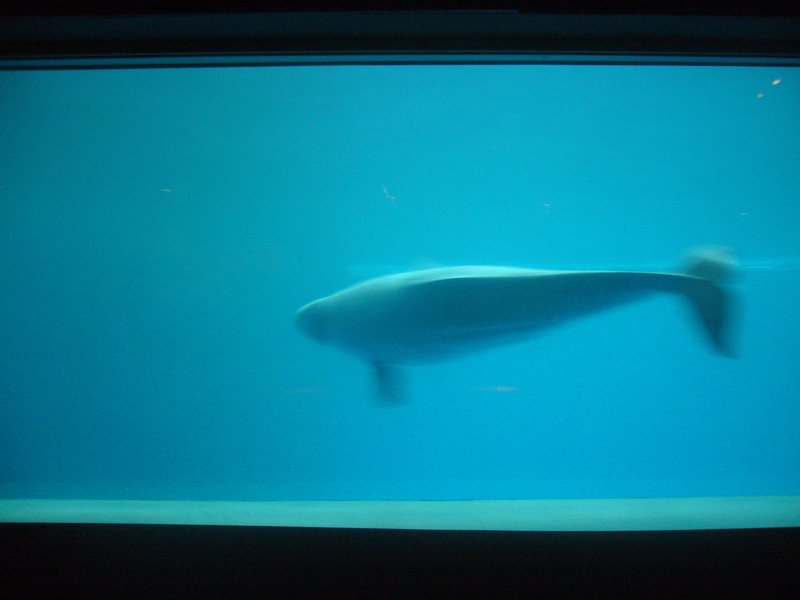 I had never seen a beluga whale in the flesh until now and they looked so graceful and happy to spin and dance in their huge tank. I quickly forgot about whether or not it was ethical to keep these creatures in these facilities and was glad I had the chance to see them up close for myself. Perhaps one day I’ll make it north with a kayak and find them in the wild swimming along by my side. Once I’d had enough (I don’t think you can ever have enough) of watching the whales I decided it was time to head back to the hostel. That evening I met my new room mate Callum, who introduced me to his crowd of friends. Chicago is this year’s must visit to work for the summer hot spot for the Irish. I’m pretty sure that there is nobody left in their country between the age of 19 and 23. The plan was made to hit up a supermarket and enjoy a few beers in the communal kitchen. Most of the girls in the group had arrived a few hours previously and were struggling with the time difference. Once we hit the kitchen we found half the population of Ireland already drinking and it wasn’t long before we go a game of Kings together. There are few things I enjoy more than being introduced to some fantastic new rules in a round and this game was no exception with two new favourites being delivered; “boxhead” and “facedown”. 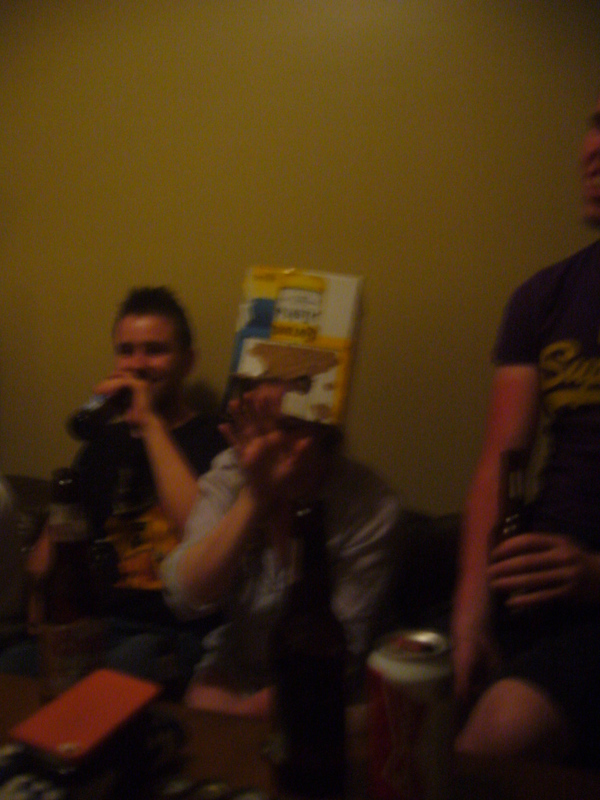 Boxhead was a work of genius, if you pulled a queen you had to put a box on your head and drink every time someone pulled a card. 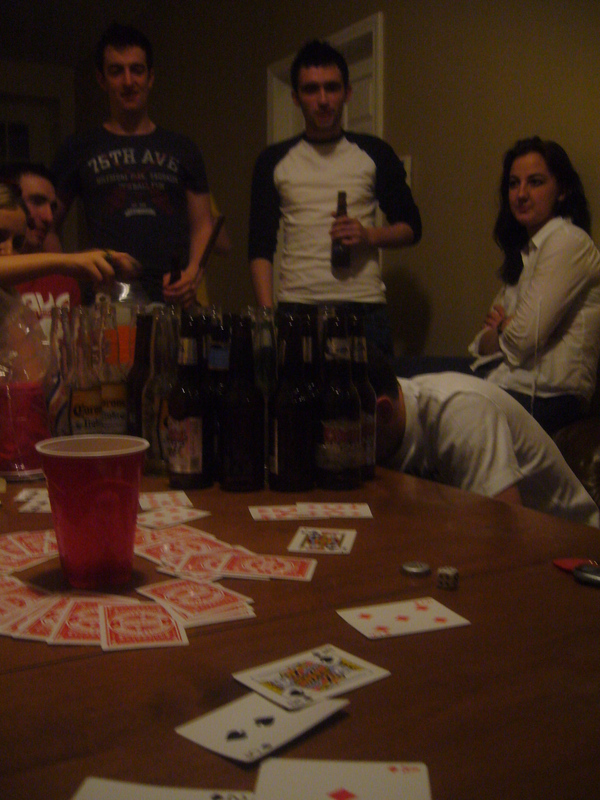 Facedown was a rule invented after a few rounds that meant that the last person to swear had to play with their forehead touching the table. Eventually we lost track of the game and it became amusing to simply reach for the heavens or touch the floor to see who would join in simply because someone started it. The answer is everyone, even after all the cards were turned up. After a while half the group headed out while the rest retired to bed, hoping to conquer the dreaded jet lag.